There has been a change on the SCPHA Board! After assisting SCPHA through a tough period and providing needed expertise in the areas of housing and finance, our Ex-Officio Commissioner Julia Fisher-Perrier stepped down Jan. 9, 2018 to pursue other activities. She is still available to provide expertise in her friendly, but firm manner and remains a valued Councilperson on the St. Charles Parish Council. She was instrumental in providing much appreciated guidance through some of SCPHA’s toughest decisions and will be missed. In our attempt to keep pace with the changes needed, Commissioner Fisher-Perrier has been replaced by St. Charles Parish Councilperson Marilyn Bellock, District V, as the new Ex-Officio Commissioner on the Board. In the upcoming week, we will present much more about our newest Board Member. We thank her for accepting the changes and look forward to working with her on behalf of the St. Charles citizens. Download the application or come into the Administrative Office and pick one up. Completed applications must be personally brought to the Administrative Office by the Applicant. Applicants must be able to provide picture identification when placing applications in the process. The application will be time stamped, reviewed and placed into the system. If all is correct, the applicant’s name will be placed on the Waiting List. Applicants will be notified by mailed at the address on the Application when their names are seriously considered for placement. It is the responsibility of the applicant to ensure that the information on the application is current. All changes must be made in writing at the Administrative Office.. The waiting list for this program is closed now. It is not expected to be open before 2019, and the specific dates will be posted, advertised and placed on the website. 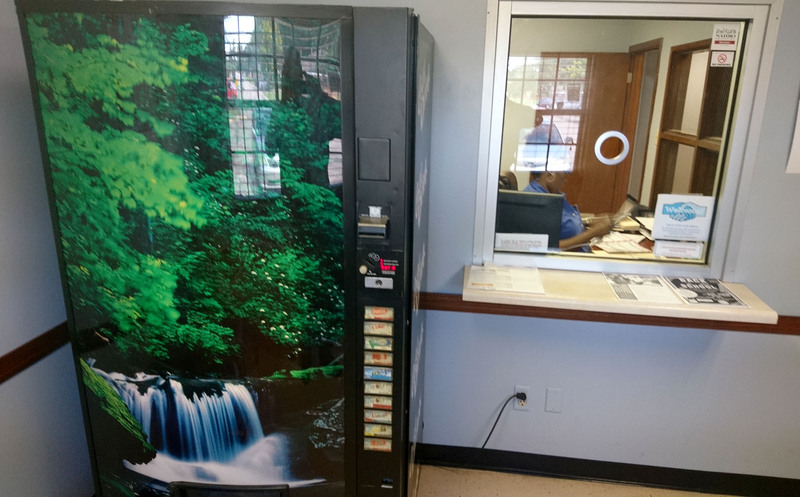 We now have a vending machine selling drinks available in the lobby of our office in Boutte at $1 per 12 ounce can. The machine takes $1 bills only. Ochsner is pleased to kick off 2017 with the announcement of our Ochsner Smoking Cessation Clinic, a Department of Ochsner Medical Center! Our smoking cessation clinic will offer free or reduced pricing for patients for services to help them kick their smoking habit for good! Ochsner is partnering with the Smoking Cessation Trust to offer free or reduced cost counseling and medications for anyone wanting to make a healthy lifestyle change. Smoking is the leading cause of preventable disease in the United States with 400,000 lives lost and more than 3 Billion dollars in health care cost and productivity losses in Louisiana alone. Tell me more. What are the next steps to get started? Step 1: Contact 504-842-7490 or 1-844-371-5806 to speak to a Smoking Cessation Coordinator. If you qualify for the free or reduced program, you’ll have access to cessation medications, individual/group counseling, telephone quit line support, a Quit Coach and more. When will the clinic be opening? The Ochsner Smoking Cessation Clinic is open. Clinics are located everywhere. Call 504-842-7490 or 1-844-371-5806 to find a clinic near you. What exactly is the Smoking Cessation Trust? In late 2011, the final judgment in a 14-year-old class action lawsuit (Scott v. American Tobacco Company) ordered certain tobacco companies to fund a 10-year statewide smoking cessation program. The new program will benefit more than 200,000 Louisiana smokers – members of the plaintiff class referred to as the Scott Class, which is defined in the judgment as all Louisiana residents who developed a smoking habit before September 1, 1988. In 2012, the court-established and court-supervised Smoking Cessation Trust (SCT) began work to set up the cessation program as planned, using funds provided by those tobacco companies. Any current Louisiana resident who was a smoker prior to September 1, 1988, and wants to stop smoking cigarettes can apply for Scott Class membership today by completing a one-page application for benefits for their card. If you have more questions about becoming tobacco free at Ochsner, email tobaccofree@ochsner.org. If you have more questions about how the Smoking Cessation Trust works, you can contact them directly through the resources on our exclusive Ochsner website for the Smoking Cessation Trust. A Little Free Library is a national movement where anyone can build a small box or kiosk that can resemble a nicely decorated birdhouse, place it in a community and fill it with free books that can be shared among people who live there. The library can be as basic or elaborate as desired and the books inside depend on who uses them. Read more about the St. Charles Parish Housing Authority’s Little Free Library in the Herald-Guide here.